While many people believe a misdemeanor charge is no big deal, in fact, misdemeanor charges can result in significant consequences and penalties. A misdemeanor charge is more serious than a petty offense, meaning a conviction is punishable by up to 18 months in a county jail. In Colorado, misdemeanors are divided into three classes. Class 1 misdemeanors are the most serious type of misdemeanor charge. Penalties for Class 1 misdemeanors include fines of up to $5,000, up to 18 months in jail, or both fine and jail. A Class 2 misdemeanor can subject one to a jail sentence of 3 to 12 months, fines of $250 to $1,000, or both. The least serious Colorado misdemeanor is a Class 3 misdemeanor. This level of misdemeanor charge can bring fines from $50 to $750, up to 6 months in jail, or both. There are also special classifications for drug misdemeanors, as well as unclassified misdemeanors. A major mistake many individuals make is believing that they do not need an experienced criminal defense attorney if they are charged with a misdemeanor. Unfortunately, nothing is farther from the truth. Without an experienced and knowledgeable criminal defense attorney fighting to protect their rights, prosecutors may seek enhanced penalties or lengthy jail time. An attorney will be able to build a solid defense against these charges and protect your future. 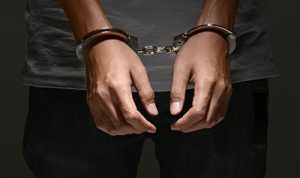 If you have been arrested and charged with a misdemeanor crime in Fort Collins, it is important to speak to an experienced Fort Collins criminal defense attorney immediately. Never discuss your case or answer questions without first speaking to a lawyer. Call The Cooney Law Firm at 970-484-9911 or contact me online to schedule a time to sit down and discuss your circumstances.